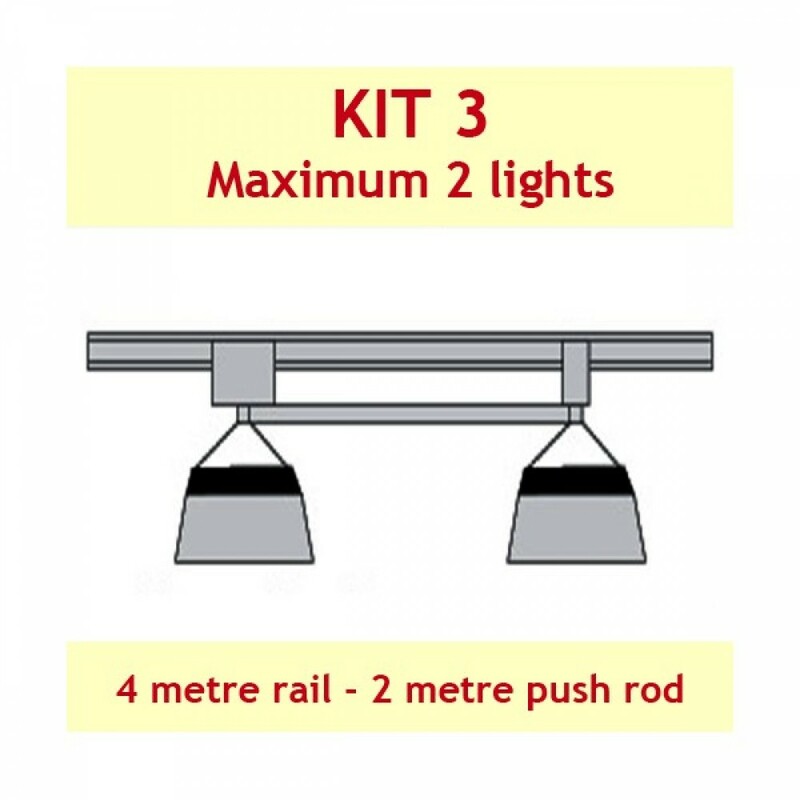 Kit 3 is suitable for 2 lights running in line with the 4 metre rail. 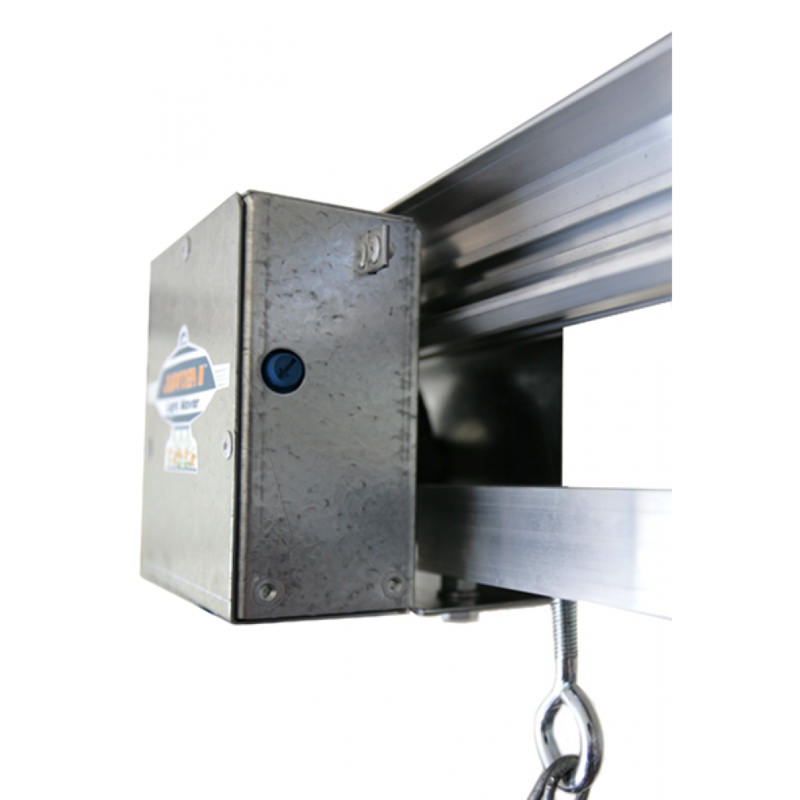 The globe length will be in line with the rail. 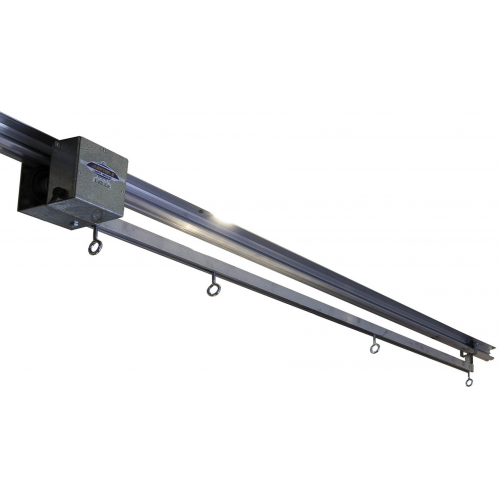 Prefer globes mounted at 90 degrees to rail? can be clamped on to pushrod. 2 metre Adjustabar pushrod kit with 4 eye bolts to hang 2 lights.